Full disclosure: I know the author. I’ve read her past books and she asked me to read this. All opinions in this review are my own. And I’m sure that she’s damned relieved to see them. To be fair, I didn’t like her first fiction novel. I thought that the writing was immature and the characterization wasn’t up to what it should have been. It didn’t read in a way I liked, so I DNFed it and left a bad review. Adrienne was very sweet about it. Then, some months ago, she approached me through Goodreads and told me she had another book coming out. She wanted me to read it to see if she could change my mind. We had a whole long talk about the premise and it’s something I could connect with deeply. More on that in a bit. Since my primary problem with her last book was with general writing and characterization, I’ll start there. This book was fantastic to read. It read easily, yet it was also written maturely. Basically, it didn’t feel like I was reading the first draft. It felt like I was reading a finely polished book that was completely ready for publication. The writing was great and easy, although there were times when it got wordy thanks to the weird way people spoke in the 16th century. The characters were also great. This book focused on the relationship between three people who have been demonized over the past almost five hundred years. Jane, Anne, and George Boleyn. All executed for crimes that Henry VIII took offense to. I’ve seen The Tudors. Most people have. The relationships portrayed were utterly wrong. Adrienne took the more recent views that newer historians have uncovered about them. Jane and Anne had a loving relationship. Jane even went so far as getting banished from court to defend her. Jane and George were likely happily married. They didn’t have any children, but there is no evidence to say they hated one another. Nor is there any evidence that George was a homosexual. (And I use that word since the concept of gayness is a recent one and I’m not going to apply recent terminology to something that wasn’t around.) Jane probably didn’t completely condemn her husband, purposefully or accidentally. Cromwell and other interrogators would have probably found some way to execute them no matter what Jane said. 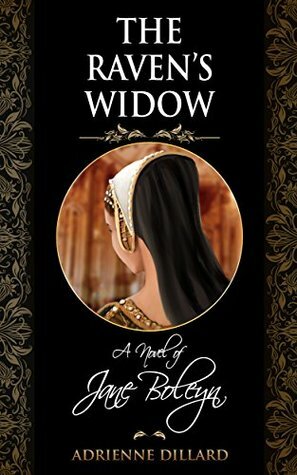 I’ve read the books Adrienne has — Jane Boleyn: The True Story of the Infamous Lady Rochford and George Boleyn: Tudor Poet, Courtier, and Diplomat — where they throw out those ideas, ones that are very different from the past centuries of research. It was wonderful to finally read a book that tackled those theories and actually showed me a good relationship. I’ve never seen anything positive. From The Tudors to Phillipa Gregory’s retelling in The Other Boleyn Girl (which I hate deeply), they always portray Jane’s relationship with either or even the three characters, as horrible people when they just weren’t. I also loved the way the story was set up. There were two stories going on at the same time, one of the Boleyn rise and fall, then of Jane’s own fall and execution. They were told in alternating chapters, really. Adrienne, as she and I spoke in messages, thinks that Jane’s actions in the 1540s were a product of PTSD and depression from losing her husband and sister-in-law. Now, in the book, it doesn’t go so far as saying that. I would have liked more portrayal of PTSD (unless you argue the alternating chapters were flashbacks) in different symptoms rather than the hysterical grief. Jane was killed despite going insane, as they put it, and I loved how Adrienne wove it in. It wasn’t insanity, as the male doctors thought, just an outpouring of grief that the men didn’t understand and labeled as an unfit mind. Like hysteria was with the floating uterus. Adrienne went above and beyond from her first book until now. However, I still did have some issues. I would have liked seeing more symptoms of PTSD. That’s probably because I’m a psychology major and have an interest in PTSD research, so I always enjoy seeing it represented in fiction. Then, there were also just character additions that made no sense. They basically played no role in the plot, so I was confused as to why they were there. Especially since I thought there would be a random love triangle when the stories about Jane, George, and Anne. For me, characters should be used smartly, not just tossed in for some drama and never used again. Despite that, this book was really excellent on so many different levels that they were minor detractions. They didn’t take away from my overall experience and it’s a very unique take on an important time in history.